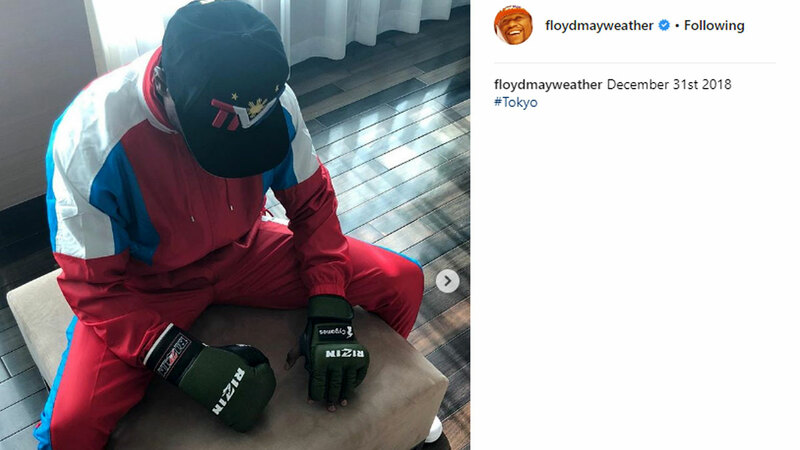 It's official: Floyd Mayweather is set to make his mixed martial arts debut against kickboxing standout Tenshin Nasukawa on New Year's Eve at RIZIN 14 (Saitama Super Arena in Tokyo, Japan). The Japanese MMA organization made the "special" bout possible between the two undefeated fighters. While Mayweather's comeback won't involve either rivaling slugger Manny Pacquiao or UFC lightweight champion Khabib Nurmagomedov, it would be interesting to see how the boxing legend will perform in a different arena. Meanwhile, his opponent is no slouch. The 20-year-old Nasukawa boasts an unblemished record of 27 victories—21 knockouts—and zero losses as a kickboxer. The reigning RISE featherweight champ has also won all of his four MMA matches (2 TKOs, 1 submission, 1 decision). Details of the fight have yet to be finalized, particularly the rules—kickboxing, boxing, or hybrid—and weight class, according to SB Nation. Recall that Mayweather (50-0) came out of retirement last year and beat UFC superstar Conor McGregor in a boxing match.